Complete strips do exist, but if you do not have them, you can still plate using overlapping smaller multiples. This is how I worked when I first acquired a stock of these stamps about 15 years ago - see an example of my working notes above showing how I used overlapping pairs as the basis. In a 1996 article, Jack Moyes listed 13 different styles, all produced in the lottery ticket format, but only four of these are normally encountered - these are the ones shown at the top. In all cases, the counterfoils (the left hand parts) are rare - I have never handled a single example. 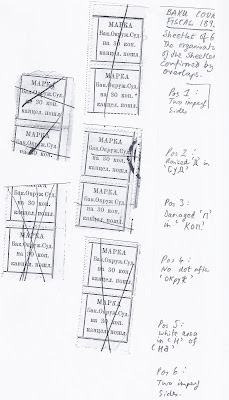 Complete documents with these stamps are also rare which is the main reason why it is not easy to date the different types accurately. Cancellations are generally undated so little information is available that way. But with patience, it might be possible to make more progress. 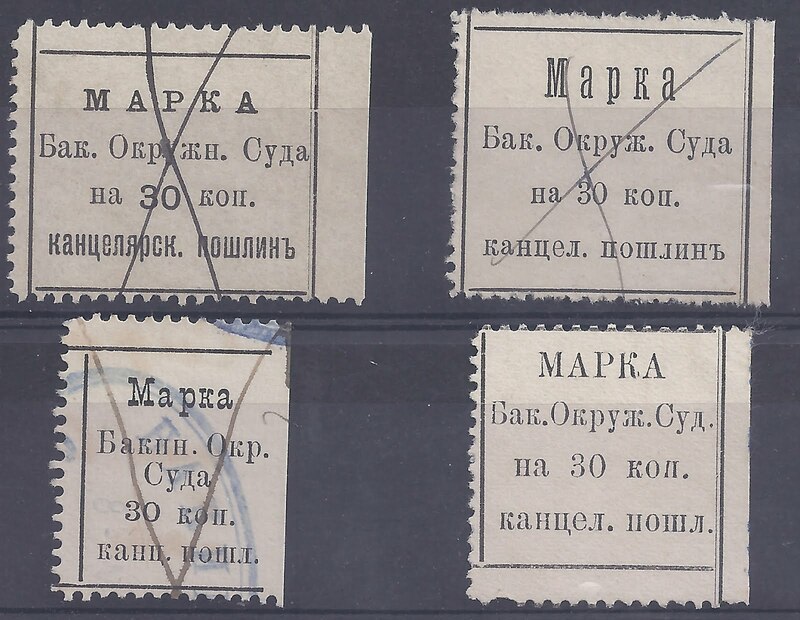 At some point, it seems, someone clipped hundreds of these stamps from original documents and they ended up (inevitably!) in the collection of Agathon Fabergé. 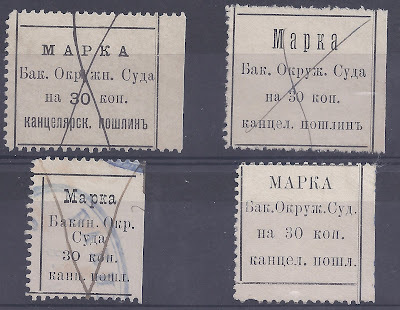 He passed them to his son Oleg, who did not do much work on them, and from Oleg they passed to the great collector of Finnish revenue stamps, B. E. Saarinen who died this year at the age of 90. He sold his Russian revenue collection many years ago and I was (eventually) one of the buyers for parts of it.